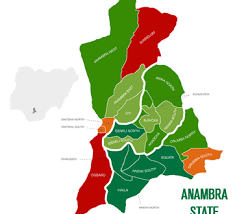 Anambra State House of Assembly members have urged, Chief (Dr) Willie Obiano, the Executive Governor of the state, to direct the Commissioner for Road, Rail and Water Transportation and other related enforcement agencies to ensure that commercial vehicles plying the roads in the state are equipped with first aid kits. Chief sponsor of the Motion, Hon. Edward Ibuzor, member representing Onitsha North 1 Constituency in his submission urged his fellow Lawmakers to add their voice to the plea. According to him, “Section 116 (6) of the National road traffic regulatory act 2012 provides that, all motor vehicles plying any public road shall be in possession of good first aid kits for emergency situation”. “Aware that the safety of road users is of importance to the government, and that in the event of road accidents, it is imperative to provide first aid to the victim before taking them to the hospital”. “Further aware that, this all important provision of the National road traffic Act, 2012 is ignored, unobserved and overlooked which has resulted in avoidable deaths”. Throwing more light to the motion, the Chief sponsor added by saying, “This motion is all about saving lives. It is always good to be prepared for emergencies than having regrets”. “First Aid kits are common and will assist a victim before going to the hospital. It will help prevent loss of blood and life eventually”. Hon. Rita Madugwu, Hon. Benson Nwawulu, Hon. Timothy Ifedioramma and Hon. Lawrence Ezeudu in their separate submissions added by saying, “This is a collective responsibility of everybody. This motion is centered on safety. Life is sacred. More enlightenment, public campaign and sensitization should be done. The Commissioner for Information should be involved”.